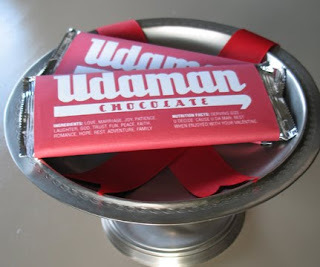 Inspiring Ideas with artist Jeanne Winters: "Udaman" Valentine Chocolate Wrapper & Free Download! 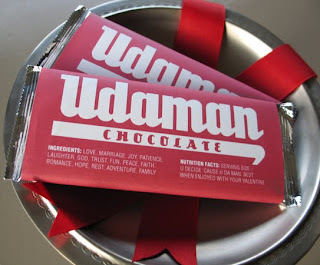 "Udaman" Valentine Chocolate Wrapper & Free Download! Complete with Ingredients: LOVE, MARRIAGE, JOY, PATIENCE, LAUGHTER, GOD, TRUST, FUN, PEACE, FAITH, ROMANCE, HOPE, REST, ADVENTURE, FAMILY. 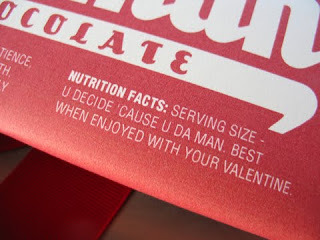 And Nutrition Facts: SERVING SIZE - U DECIDE ‘CAUSE U DA MAN. BEST WHEN ENJOYED WITH YOUR VALENTINE. Participating in Kimba's DIY day at A Soft Place to Land and Get Your Craft On at Today's Creative Blog. I think this is absolutely adorable!! I know my man will love it! I wasn't able to download. It was requesting a login to Google groups?? Woops! Sorry to a few of you already! I just changed the group settings. Hope that works!!! Thank you Jeanne!! Worked like a charm!! Jeanne- I love it!!! Soooo stinkin' cute! Why couldn't you have run this before I featured your vow Valentines? lol! UdaBlogger with great ideas! Thanks for the download. Stopping by from SITS today! Will be heading over to my local Hallmark to look at your book! Have a blessed day. I love this idea. I am going through Nancy Leigh DeMoss's 31 Days to Encourage Your Husband and this will be such a fun thing to make and give to him. I am looking forward to focusing on him for 31 days and focusing less on myself. Thank you for sharing this and making it a free download. How clever! I like it very much. This is just too cute....maybe he'll enjoy the wrapper and will share the chocolate with ME!!! ha! ha! you designed that? how cool!!!! I love the idea and just may have to try it out for my hubby. Thanks for sharing! ~ Emily N. from "too Blessed to Stress"
Thank you for this. Hubby & I do not do much for V-day, so this will be perfect! This is so cute! I had to feature this on my blog! I am making these today! Perfect for my Hubs 'cause he is...I linked you on a facebook post...thanks glad I found your blog ! That is so cute! Thanks for the download! What a fun idea!! My hubby's a health nut...wonder if I could wrap up a Power Bar? Jeanne -thank you for stopping by 'too Blessed to Stress" earlier this week. yor comment was featured on my post today, come on over and check it out! Also, thanks for the awesome candy bar idea... still deciding if I should make some for hubby... or eat the candy all by myself... hmmm? HAHA! SOOOOO neat!! Here from Tidymom.. and so glad I am! Your blog is awesome! Thanks for sharing this so cute chocolate wrapper and the commment on my blog. This is such a great idea. I never know what to give Hubby for V-Day!!! He'll love this. Thank you so much for sharing. 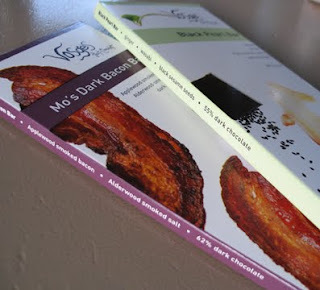 I wanted to let you know that I posted your glossy bookmarks on my blog today. I love them and would love to try my hand at making them someday soon. Thanks for the download. That is really a cute wrapper. LOVE these! Thanks:-) I'm adding them to my list of goodies. This is great! So hard to find good guy ideas! I found it a few days after Valentine's Day but I'm saving it for next year. Thanks for sharing!! I love these! But, I didn't see these before Valentine's Day. Do you think you might want to repost these around Father's Day and eliminate "Best Enjoyed When Shared With Your Valentine". These would be really cute for Father's Day....Hint,Hint! I love it. I'm sorry I didn't get here before Valentine's. I just love this! I would like to use it for fathers day. Would you be willing to do one that has the "Best when enjoyed with your valentine" taken off? So cute! I saw this featured on Skip To My Lou -- perfect for Hubs! This is absolutely adorable, and I can't wait to give it to my hubby! this is so awesome...I included it in my Valentine round up today. I featured you today on my blog. I would love for you to check it out! 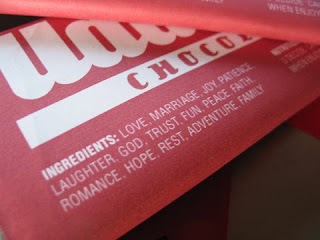 I just printed out the chocolate wrappers for the guys at our valentine's party. So awesome! Thank you! Thanks so much for this! I'm the only girl in a house full of manly men, so valentine's day is always, always a challenge!! This is great! I just printed mine and will be picking up a candy bar on my next trip to the store to have this done for Valentine's Day! Thanks! these are so much fun! i'll be linking from my little blog. thanks for sharing your creativity! I just wanted to thank you for this. I printed this out although I neglected to buy the correct size candy bars. oops. It wraps nicely around 2 Hershey candy bars though if anyone wonders. I just had to 'wrap' the ends as if they were a package folding them up a bit. In all fairness though, I wasn't able to get out to buy my own for certain reasons so I went with what I could. I put this on hubby's pillow so he would see it just before bedtime as one last little gift. He loved it. Thank you. That was absolutely a great Valentine Chocolate Wrapper I lie it good that you shared this. Keep posting! Cute warapper. Saved for next year! Iam unable to dowload the PDF, I just come to a google group when klicking on the link... Can anyone help me plz? Love, love, love the Udaman candy wrapper and wanted to use this but when I print I don't get the entire image either in landscape or portrait. Do you have any suggestions. Oh - how did your comment escape me, Michele? Many apologies for the late response. But, for anyone's future reference ... :-) ... check your printer settings. If 100% isn't working for some reason, reduce it to fit by lowering the percent or click "fit to page." Most printers have these options in the settings. Love it!!!! Thanks for the free printable.